The uSqueez Hand’s wrap-around soothing airbag massage eases away tension and stiffness on your hands and fingers after a long day. 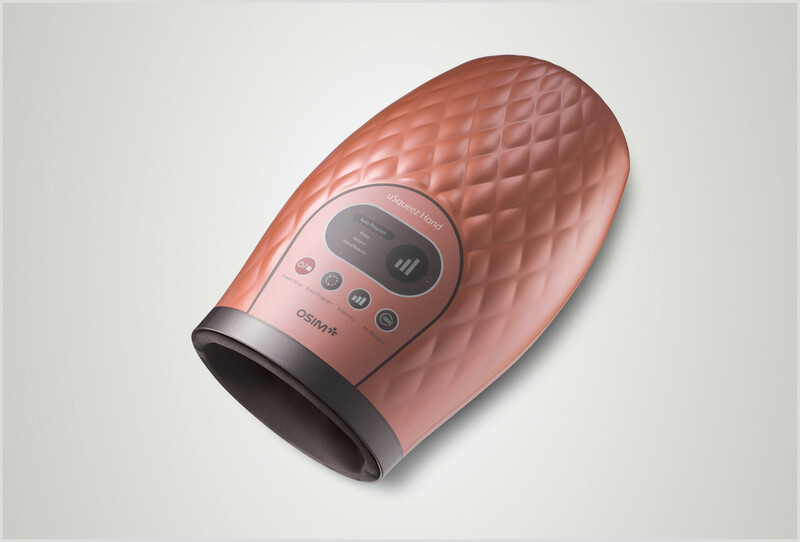 Utilizing airbag massage with strategically positioned massage nodes, the OSIM uSqueez Hand attentively soothes tension on your hands for a relaxing Hand-spa experience. Every day, our hands endure long hours of typing or scrolling the mouse at our workstation, using our mobile devices and doing housework, resulting in tired and aching hands. 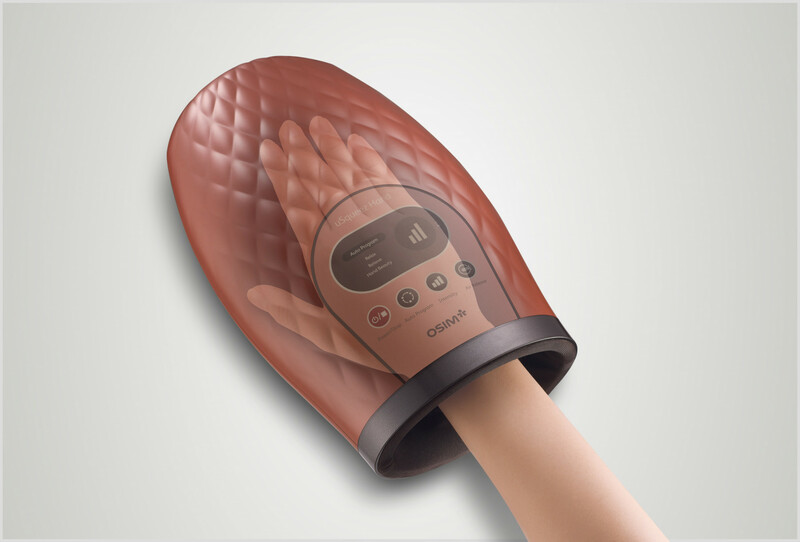 Utilizing airbag massage with strategically positioned massage nodes, the OSIM uSqueez Hand attentively soothes tension on Your hands for a relaxing Hand-spa experience. The uSqueez Hand’s wrap-around soothing airbag massage eases away tension and stiffness on your hands and fingers after a long day. Adjust the intensity of the airbag massage according to someone preference (low, mid, high). The internal fabric lining of the uSqueez Hand can be easily removed and washed for better hygiene. Simply unzip and detach the fabric when needed. Simply press the safety air release button once to deflate all airbags immediately. 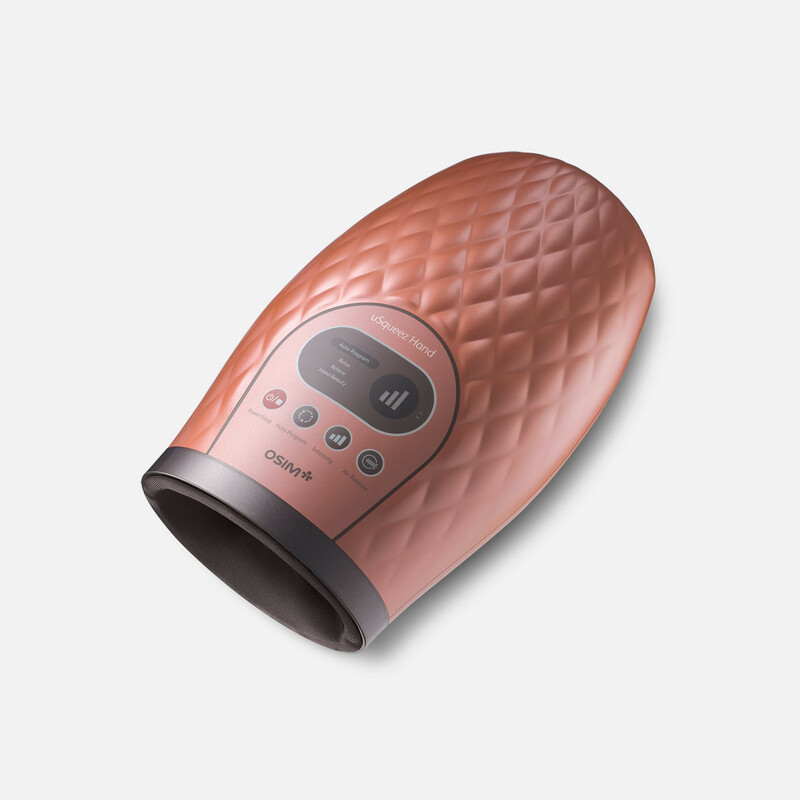 Powered by 4 'AA' alkaline batteries, you can enjoy a hassle-free and cordless hand-spa massage on the uSqueez Hand anytime, anywhere.